In 1989, Space Ibiza in Playa d'en Bossa was a new venue established to serve a purpose, a place that from its very conception aimed to offer a different musical, sensorial and hedonistic experience to any other club on the island. Ten years after its birth, the club became one of the world’s first super-clubs, arguably setting the standard for sound production and being the place where the best emerging DJs of the time would be found playing records behind the bar. This was also the year that the terrace became a crucial part of its history and in 1999, UK club brand “Home” negotiated with Pepe to take part in Space’s Sundays, establishing the party as the club’s strongest day. Sundays in Ibiza became legend and so started the 22-hour marathons, from 8am on Sunday to 6am on Monday, where the club hosted an incredible day-night festival, apparently never seen before on the island. 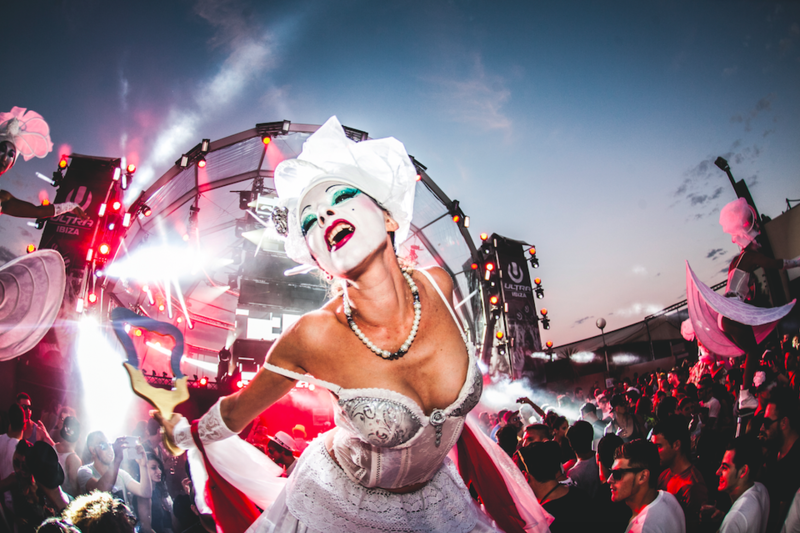 Over the years, Space has apparently become the most awarded club in the world, receiving awards right up until this, its last year - Best Club in the World - DJ Mag 2016. Thousands of clubbers, year after year, come religiously to Space from all over the world and It is well known that the season in Ibiza is said to start with the opening of the club, and similarly, end, when the club closes its doors for the end of the summer. Now the final moment has arrived. A time of absolute emotion and joy, tinged with a little sadness. It is time to celebrate the 27 years of groundbreaking music and the club’s contribution to three decades of youth and DJ culture. 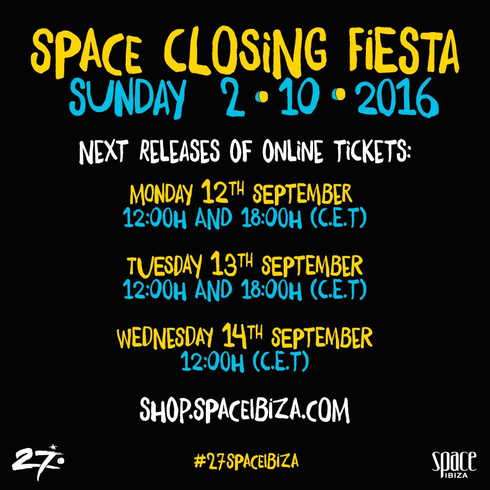 Space Ibiza - 2 October 2016, the year the party ended. Aleksia, Alex P, Alfredo, Andy Baxter, Anja Schneider, Anna Tur, Aphotek, Bastian Bux, Blackhall and Bookless, Brandon Block, Bruno From Ibiza, Bushwacka!, Camilo Franco, Carl Cox, Charlise N Chaplin, Clara Da Costa, Daniel Klein, Danny Serrano, Darius Syrossian, David Morales, David Moreno, De la Swing, DJ Oliver, DJ Pippi, Eats Everything, Edu Imbernon, Eddy M, Elio Riso, Federico Grazzini, Francisco Allendes, Iban Mendoza, Igor Marijuan, James Zabiela, Jason Bye, Javi Bora, Jesse Rose, John Acquaviva, Jon Rundell, Jonathan Ulysses, Josh Wink, Juan Gomez, Kaleshy, Kopanos, Kölsch, Los Suruba, Maceo Plex, Mambo Brothers, Marc Maya, Mark Brown, Mark Knight, Mind Against, Moy Santana, Nick Fanciulli, Nilo R, Oscar Colorado, Paul Reynolds, Pepo Lanzoni, Rad Damon, Rafa de Siria, Ramon Castells, Rebeka Brown, Remo, Roger Sanchez, Sam Divine, Sasha, Smokin Jo, Somne, Stefano Noferini, Steve Bug, Tale Of Us, Technasia, Toni Moreno, Toni Varga, Uner, Valentin Huedo, Wally Lopez, Yaya, Yousef... and many more.